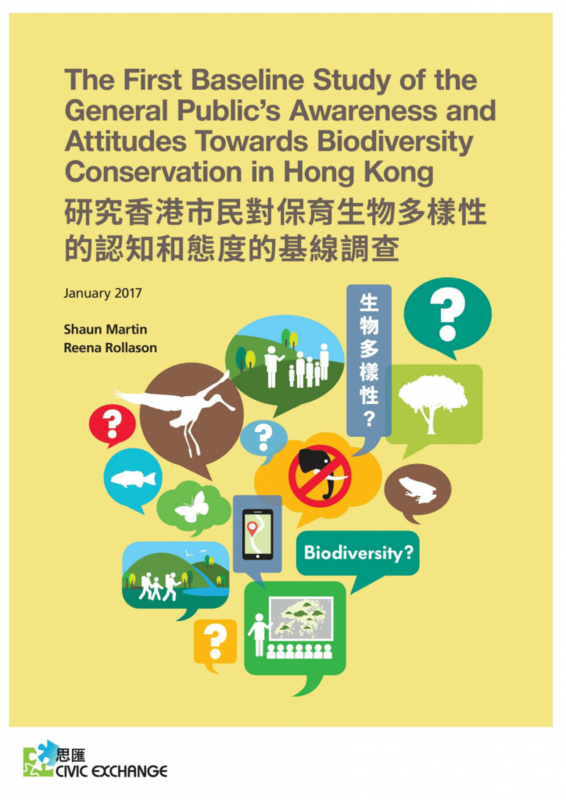 In January 2017, Civic Exchange published its “First Baseline Study of the General Public’s Awareness and Attitudes Towards Biodiversity Conservation in Hong Kong.” The report was updated in July 2017. To download the updated report, click on the link above. • This project establishes the public’s awareness and attitudes towards biodiversity and its conservation in Hong Kong. • In 2011, the Convention of Biological Diversity, a UN treaty that aims to halt the loss of biodiversity, was extended to Hong Kong, and the Chief Executive promised to prepare a Biodiversity Strategy and Action Plan (BSAP) in order to ratify it. Part of the BSAP aims to mainstream the topic of biodiversity amongst all sectors of Hong Kong and enhance community involvement. Yet in order to be effective, the public’s current awareness and attitudes need to be ascertained. • In June and July 2016, 1,070 people were randomly selected to take a telephone survey in Cantonese. The results showed that overall awareness was very low and that, as a consequence, attitudes were underdeveloped, shown by the fact that only 24% of the respondents had actually heard of the term ‘biodiversity’ in Chinese and knew what it meant. Much more needs to be done to mainstream biodiversity. • The percentage of respondents in the study who claimed to be both aware of and concerned about biodiversity is very low – 15.4% across all demographic groups. • However, one group displayed a higher level of awareness and concern than the rest: 54% of the young (aged 18-29) were aware of biodiversity, compared to 24.4% overall. In addition, 33% of the young demonstrated both awareness and concern, compared to 15.4% overall. 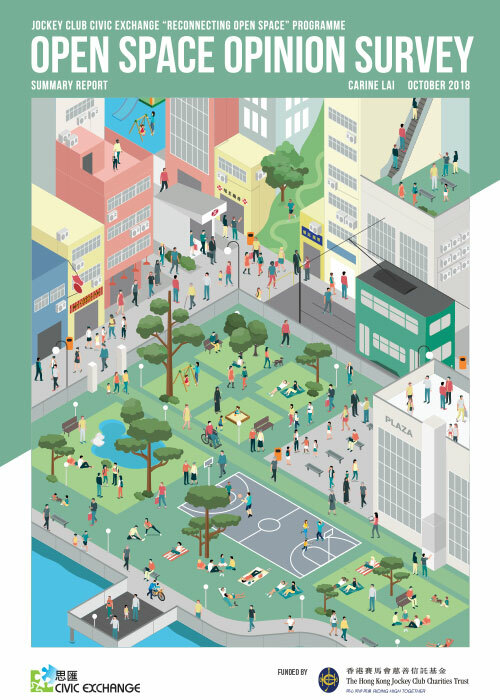 • The majority of young respondents who showed awareness and concern for biodiversity received their information from green groups, the Internet, schools and universities. However, there was only a low- to medium-level of trust in their sources. They also reported low usage and trust levels in regards to government sources and newspapers. • The young also have different expectations and a different sense of responsibility in regards to biodiversity, compared to other age groups. Those members of the young group who are both aware and concerned have a higher tendency to believe that individuals are in a position to make an impact on biodiversity, and that the government has a responsibility to protect it. This implies that they have higher expectations for both the government and individuals to protect biodiversity. • Overseas studies have shown that exposure to nature and wildlife is important for promoting the public’s understanding and support for biodiversity. This project’s findings bear that out. The respondents who visit Hong Kong country parks generally display a higher level of awareness and concern about biodiversity. • There was support across all age groups for greater customs checks, penalties for restaurants which serve endangered species or controversial dishes, and raids on Chinese medicine wholesalers. • The data from this project will assist government officials to understand the current public’s awareness and attitudes towards biodiversity conservation. By studying the groups that have showed awareness, our report may help policy makers evaluate and review existing conservation plans to determine more effective strategic goals of mainstreaming and community outreach. • The project makes recommendations around increasing the awareness of biodiversity, modernizing communication, increasing the frequency and quality of visits to country parks, and educating and enthusing around the subject of biodiversity. This research project (Project Number: 2015.C.008.15D) is funded by the Public Policy Research Funding Scheme from the Central Policy Unit of the Hong Kong Special Administrative Region Government.